Connecticut couple who bought a pair of puppies that were for sale online, never received the dogs. A Connecticut woman wants others to be aware after she and her husband lost hundreds of dollars trying to purchase puppies. Losing a pet is like losing a family member. Amy Beaulieu and her husband know that first hand. “We lost our 13-year-old pug Penelope in October, 2018 and we were devastated,” Beaulieu said. It was a painful experience for the Beaulieus to put down their pug. In January, the couple spotted some adorable little pugs for sale online. “We’re reading the website, texting back and forth with them. We picked two puppies,” said Beaulieu. 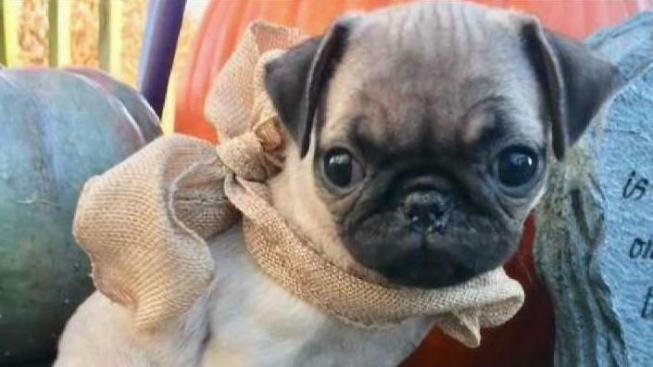 On the company’s website, Jason’s Pug home, it details how the business raises pugs in their home posting these pictures of the pups. Beaulieu said the male and female pugs cost $650 each. “I questioned as to why they were so inexpensive. He said it was because it was Texas and no one’s willing to pay that much money for pugs in the South as compared to the Northeast,” said Beaulieu. The couple was instructed to send a $400 deposit through their United bank cash app. “Eventually, he called one time and I said I have some concerns about the texting and this sounds a little bit too good to be true. And he assured me, it’s fine we’re a family business. Everything’s safe,” said Beaulieu. Beaulieu said she didn’t hear anything after that. “We were pretty angry about it and felt a little bit naïve too,” added Beaulieu. According to the BBB, 80 percent of sponsored pet advertisements may be fake and the internet may not always be the best way to purchase a pet. The agency says since January of this year, Connecticut consumers claim to have lost nearly $6,000 in online puppy scams, as reported through the BBB’s Scam Tracker. Beaulieu is now content with 4-month-old Milo and 12-week-old Apple. She purchased the pups through the American Kennel Club and wants to warn others before they buy a pet online. “When you’re in a vulnerable situation after losing a beloved family pet, just be cautious, listen to, listen to your gut, and do thorough research,” said Beaulieu. NBC Connecticut Responds reached out to the alleged owner of Jason’s Pub home multiple times for comment. We’re still waiting to hear back. The BBB serving Connecticut has this advice to help consumers avoid falling for a puppy scam.